Your electronic claims can bring a lot of revenue into your practice. However, many optometric practices don’t have the time or resources available to track the performance of their claim management efforts. 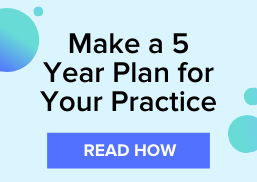 While your practice’s focus should be on delivering quality care to your patients, the ability to track and analyze your claim management performance can give you insights to help your practice work more efficiently while increasing revenue and decreasing frustration. 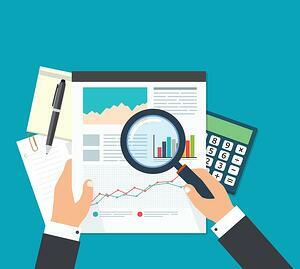 This post reveals three effects of not tracking your optometric billing metrics. Access to information on your payer's acceptance rate, denial rate, and denial reason can give you the opportunity to adapt your claim management processes to eliminate common errors that are keeping you from making more money on your claim reimbursements. By tracking your practice’s common claim denial reasons, you and your staff can develop a strategy to avoid the errors in the future. A lack of visibility into your claim management performance can be frustrating for you and your staff. For your billing manager, they don’t have the visibility into what they are doing right or wrong. And, as a practice owner, you don’t have visibility into how much money you’re actually making or losing from your electronic claims. To run a business and grow your practice, you have to continuously improve your revenue stream. Unfortunately, online retailers have disrupted the profits made from your optical dispensary. With these disruptions, your practice’s revenue growth depends more on claim reimbursements than before. Tracking your practice’s monthly income from claims can give you the information you need to counter the impact of online retailers cutting into your practice’s revenue stream. Want to make more money on your claim reimbursements? Download our, Definitive Guide to Making More Money on Claim Reimbursements.